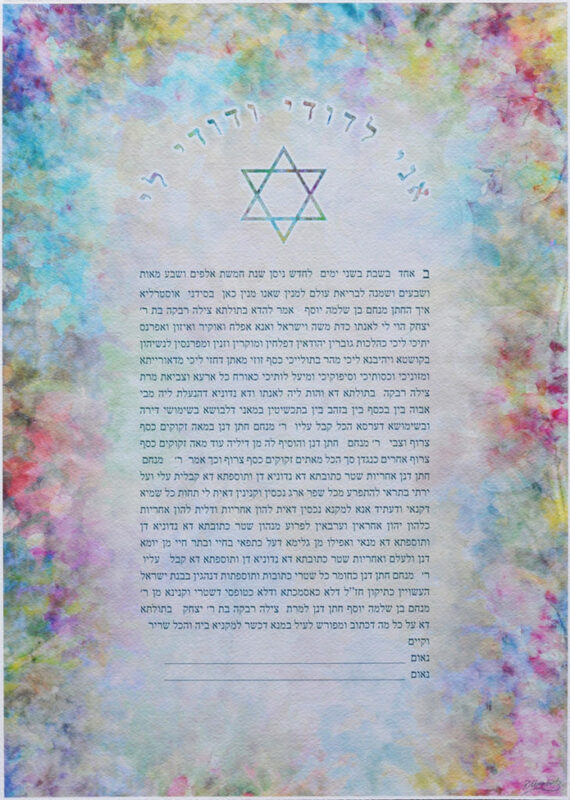 As a document honouring the embrace of marriage, this Ketubah harnesses a glorious colour palette to celebrate the beauty of being in love and the vitality of a life shared with one’s beloved. 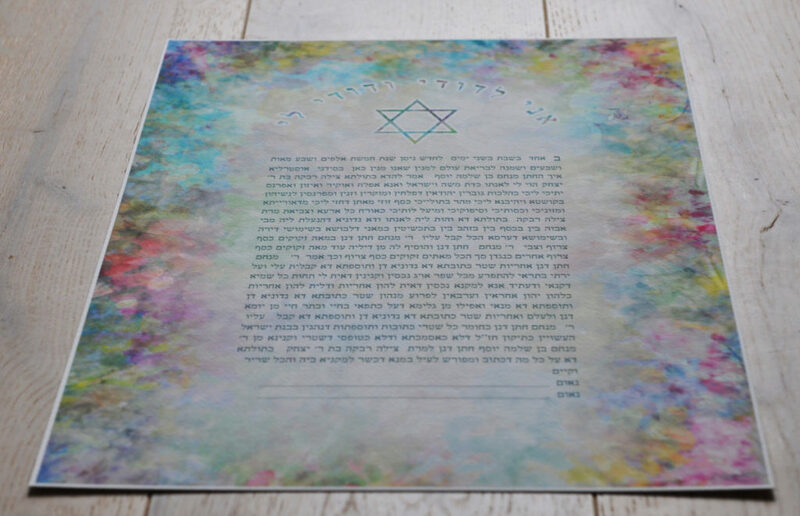 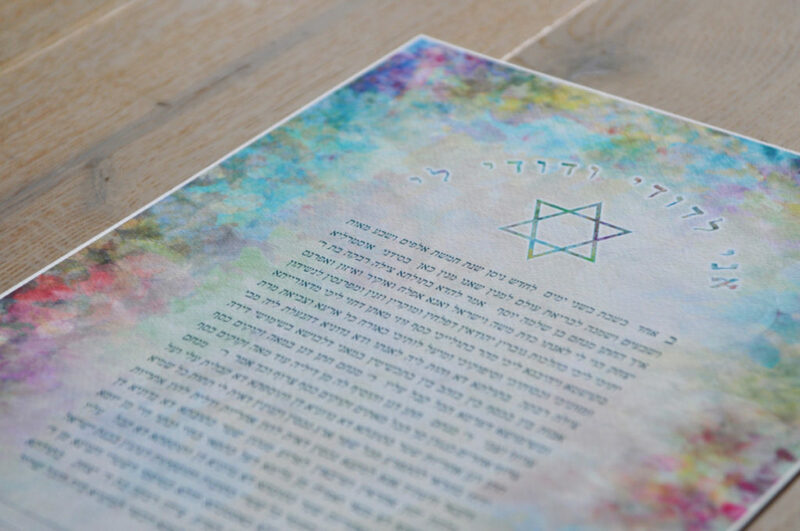 The vibrancy and visual spectacle of this Ketubah was created through a watercolour splashed and washed background. 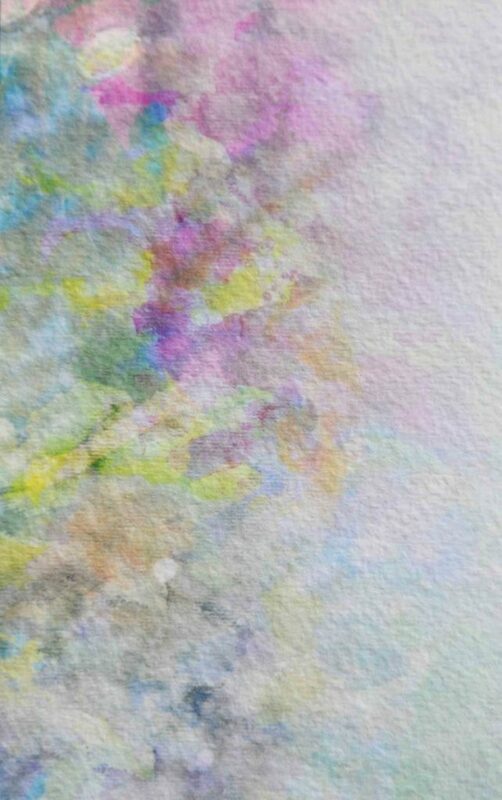 All the colours are beautiful. 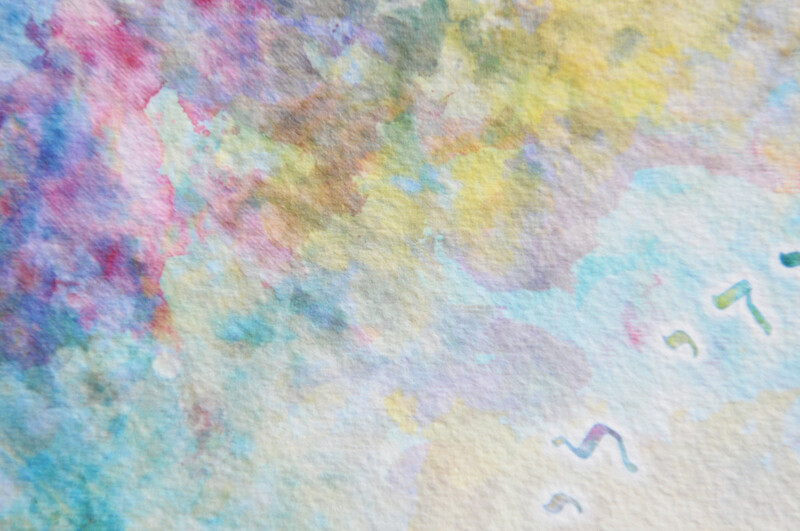 The colour, is like none other. 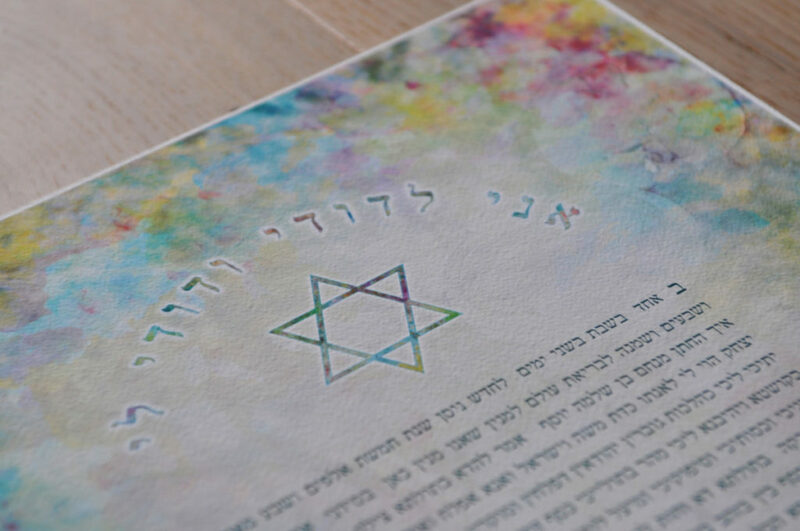 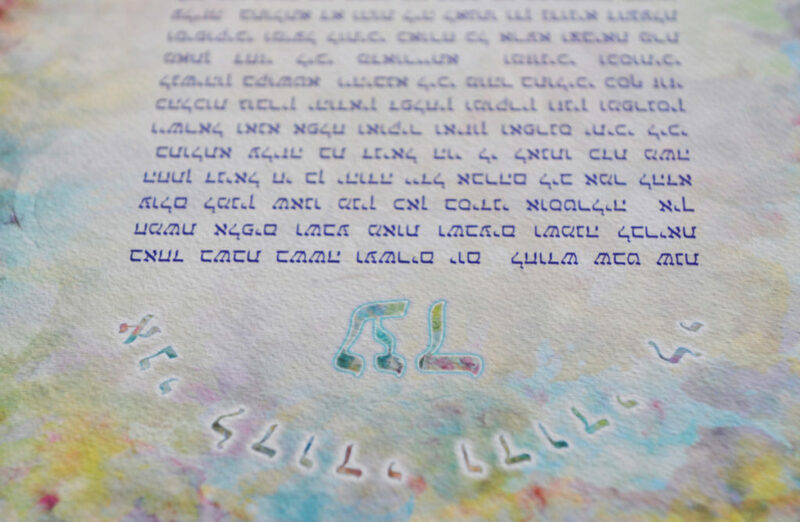 The highly textured paper presents an intricate landscape where the veil of colour overlaying the surface of the Ketubah bestows pores and dimensionality to the ruach and energy of the composition. Here, there is an option to have the couple’s initials (as above) or a Magen David (as below) crown and float above the hebrew (or anything else relevant to your love story or expression of togetherness). 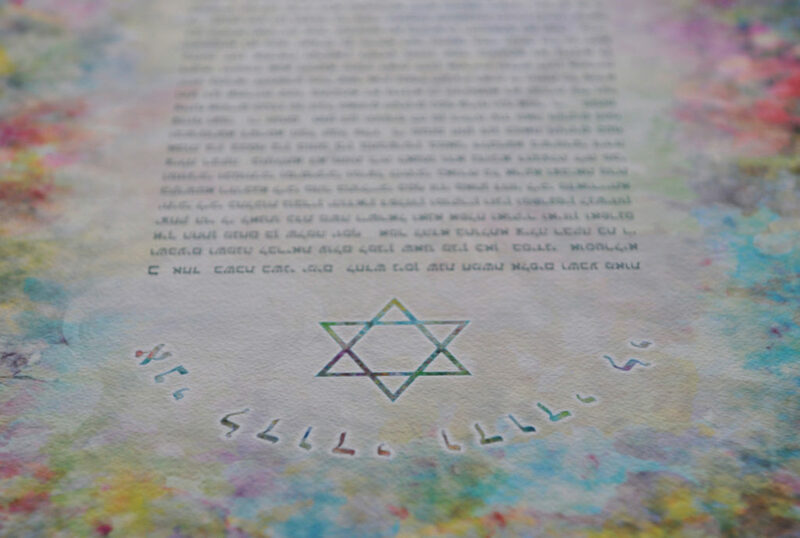 These initials / Magen David elements are rendered in a water colour wash that resonates with the aesthetic of the background and emits a white halo that glows off them, allowing them to softly float above the artwork. 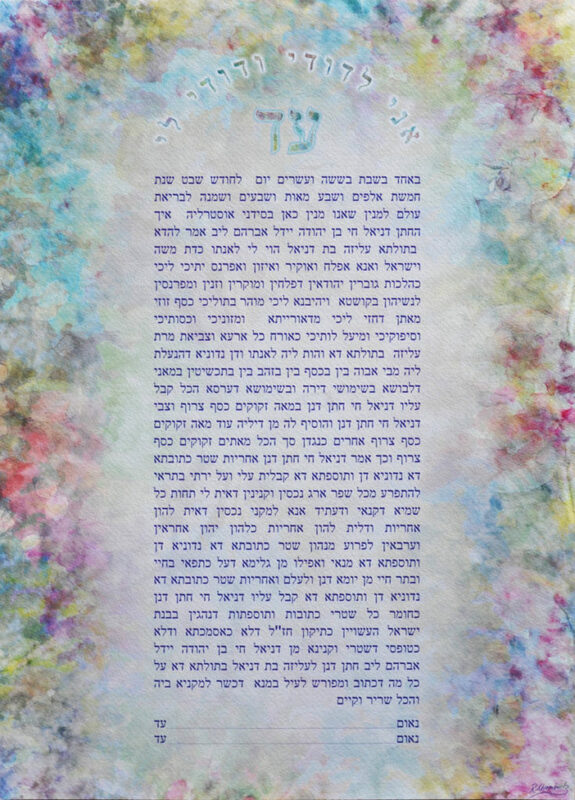 The hymn “אני לדודי ודודי לי” translating as “ I am my Beloved’s and my Beloved is mine” is the most celebrated sentence from Shir HaShirim (Song of Songs 6:3), written by King Solomon as a romantic declaration between husband and wife. 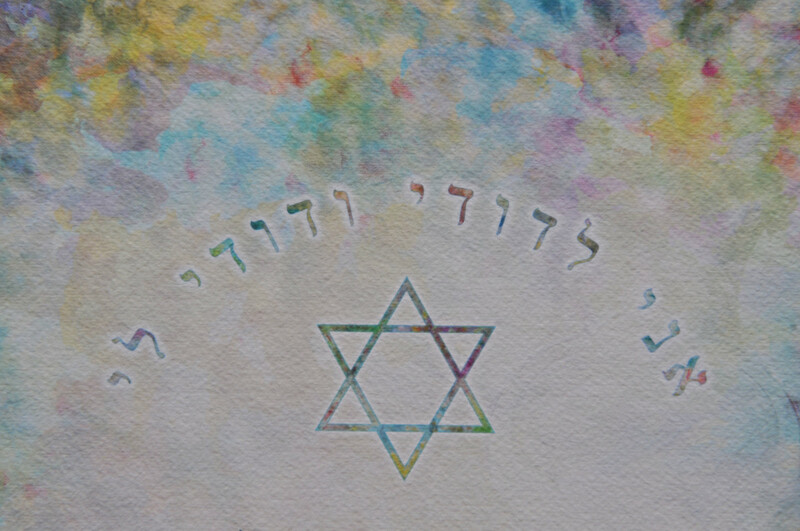 Wrapping around the initials, it echoes the shape of an enclosure to foreshadow the future home that will be created by the union of these two souls becoming one. 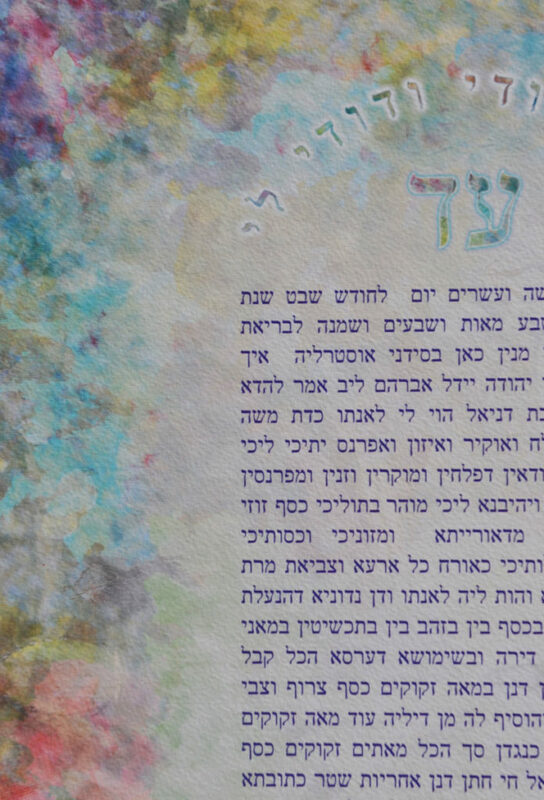 Furthermore this psalm evokes the intrinsic commitment, care and responsibility mutually undertaken by husband and wife in their journey through life’s palette of colour. 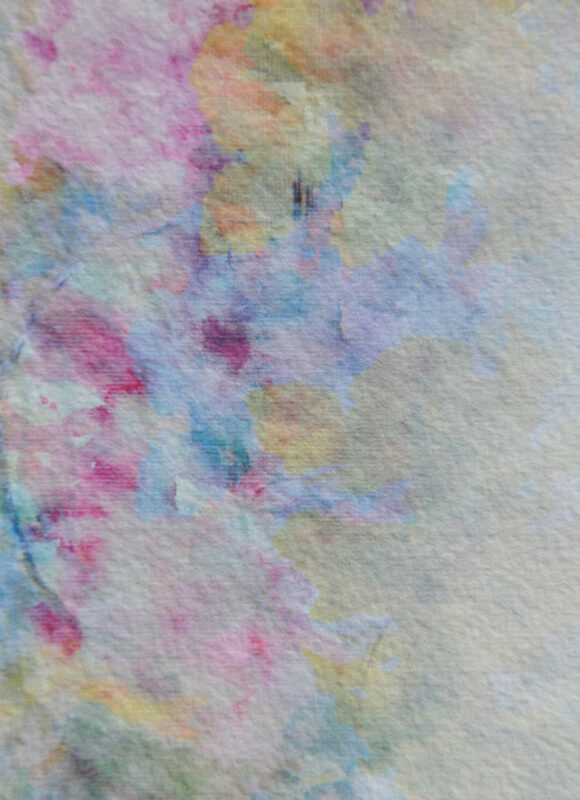 Colour palette details showcasing the glory and beauty of the tissue pastiche of colour. Their soft interactions together weave into a wonderful veil.